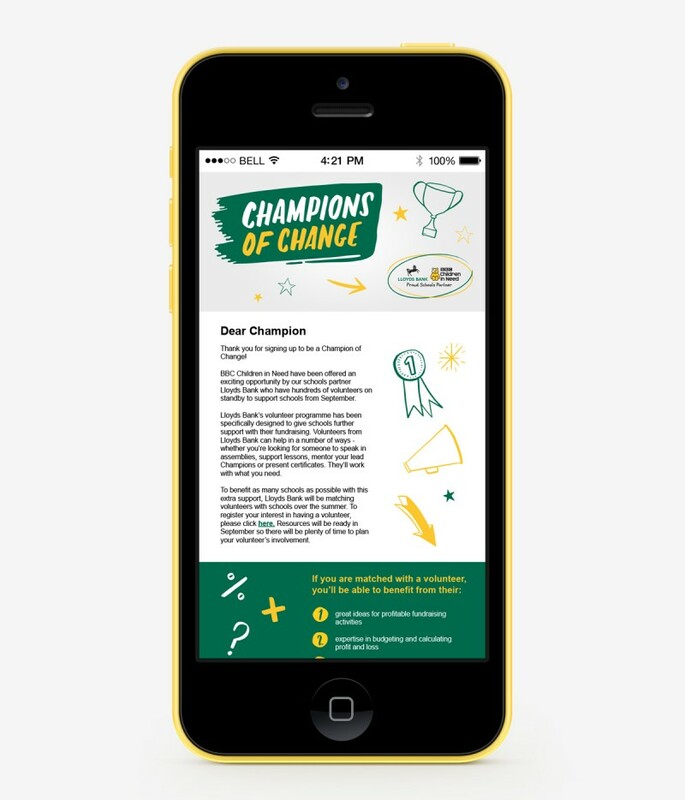 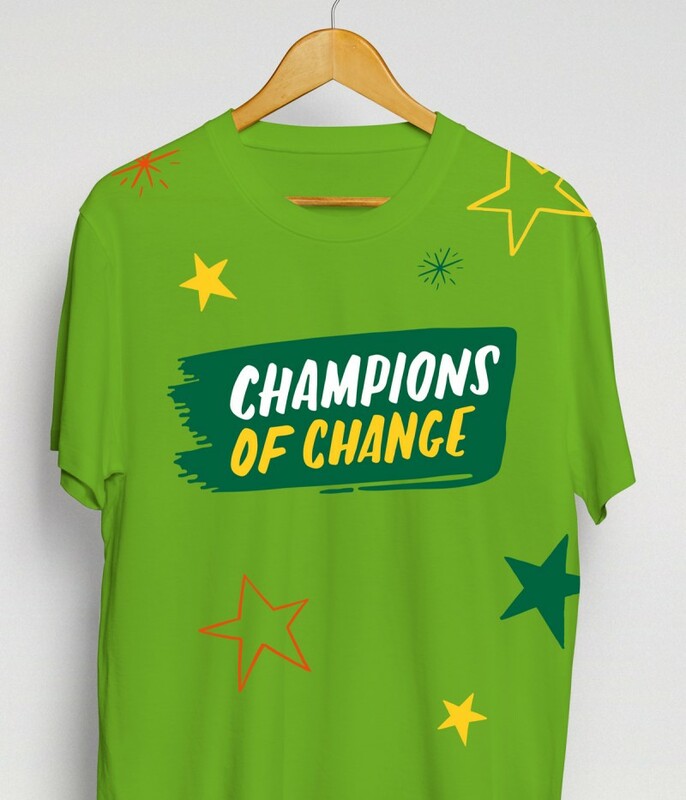 Calling all Champions of Change! 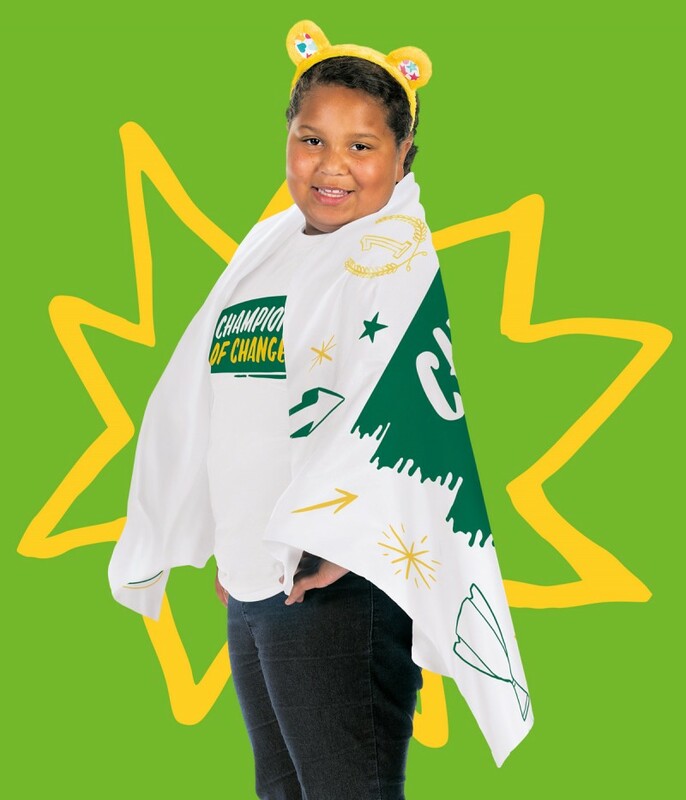 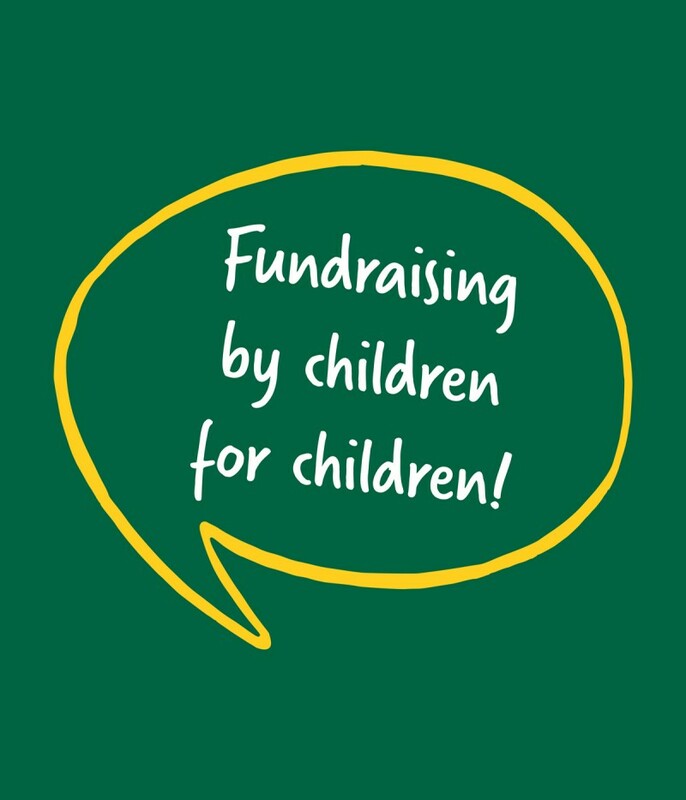 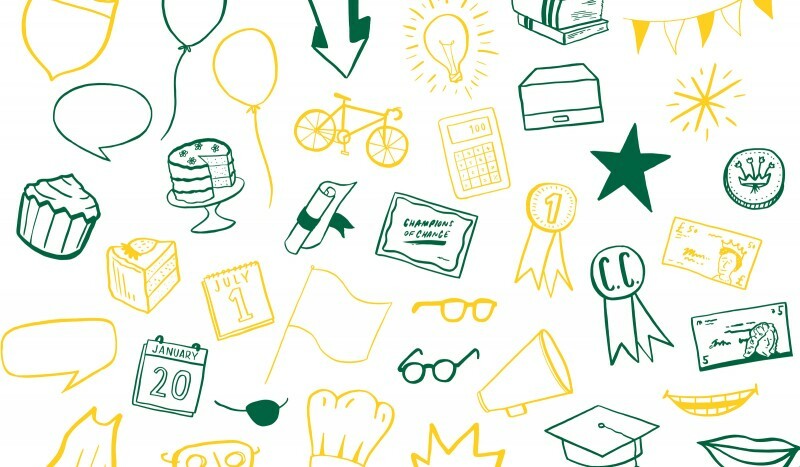 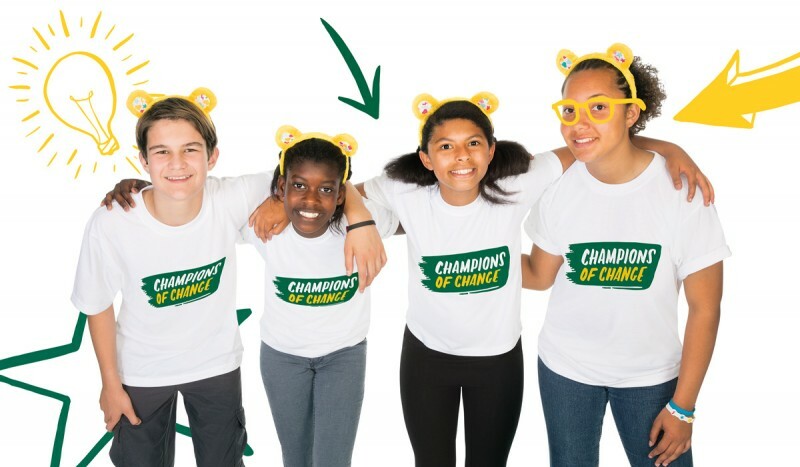 In October 2014 Lloyds Banking Group became the first Principal Partner of BBC Children in Need, as well as becoming the exclusive Schools Fundraising Partner and representing BBC Children in Need as the Lloyds Banking Group Charity of the Year for 2015/2016. 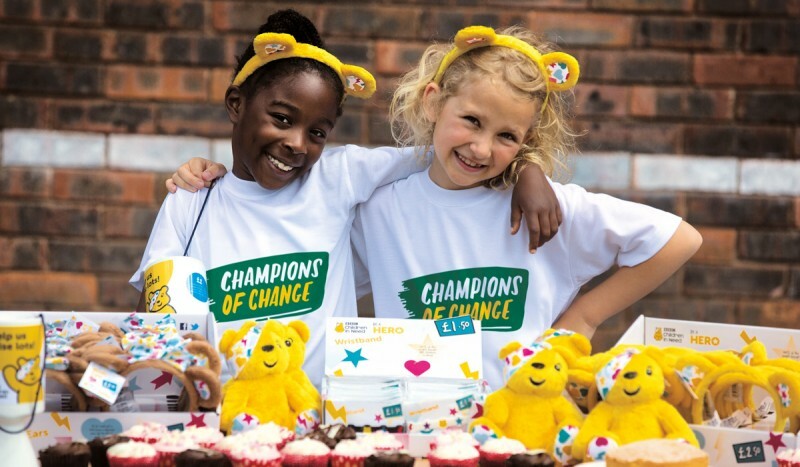 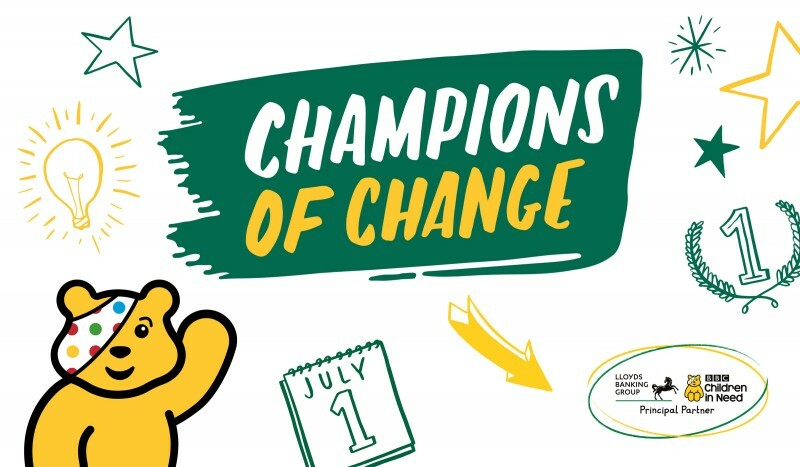 Alongside the overall partnership brand, the unique ‘Champions of Change’ programme encourages young people to take responsibility for the fundraising in their school, to change the lives of other children around the UK and improve their own prospects in the process. 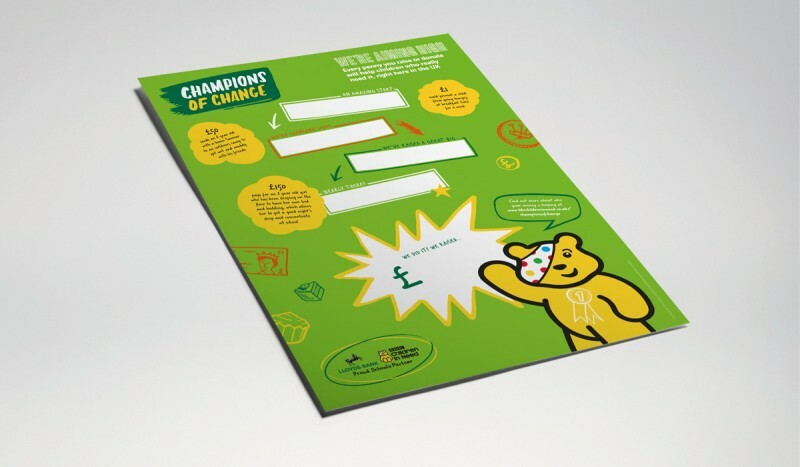 Having worked closely on BBC Children in Need, we were asked to create a look and feel for the partnership as well as the Champions of Change initiative. 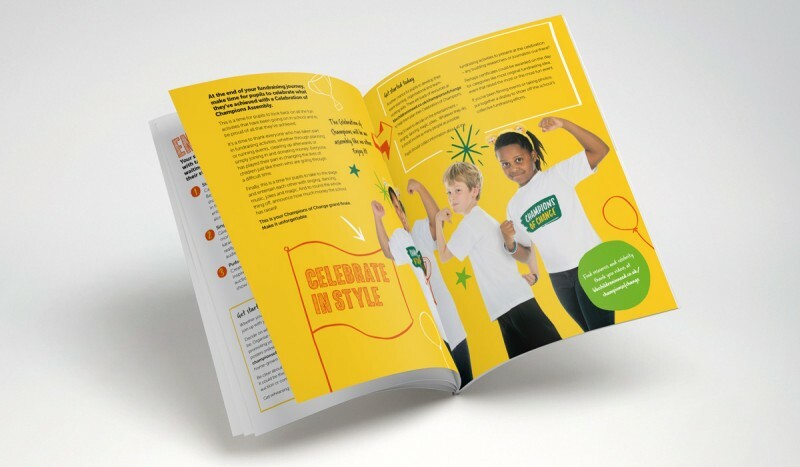 The partnership spans not only the usual BBC audiences but also Lloyds Banking Group internal, colleague and customer facing communications, meaning we had to strike the perfect balance of both brands within the design.